Web application that changed the way SEO marketers manage sites and content. SEO software optimizes, controls, and manages multiple sites automatically from one place. The project that I'm really proud of. The mission was to build a web application that automates lots of really complicated SEO tasks and is easy to use at the same time. A machine with many moving parts. The user is able to access the web app (control center) using any mobile and desktop device and control all of the sites from one place. 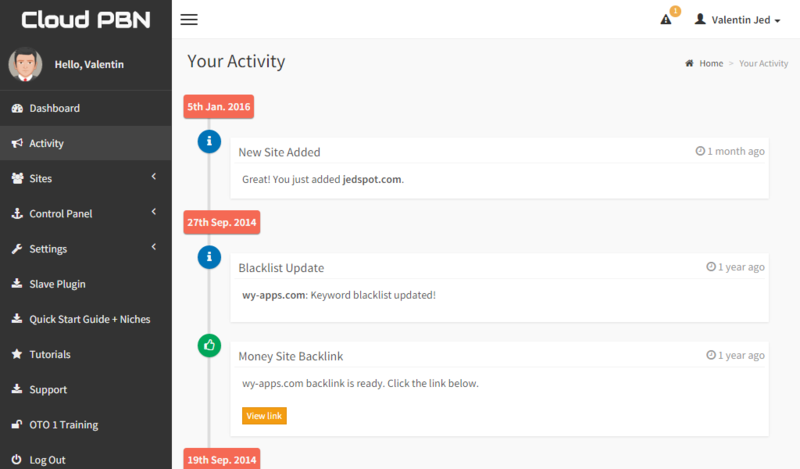 The control panel where the user can add sites, manage the sites, release content and execute SEO tasks on any site with several clicks. The challenge was to get the complicated plugin working on most WordPress installs that are running on many hosting solutions with different server setup and limits. After lots of testing and speaking to the customers, we were able to make the plugin work on ANY hosting provider. 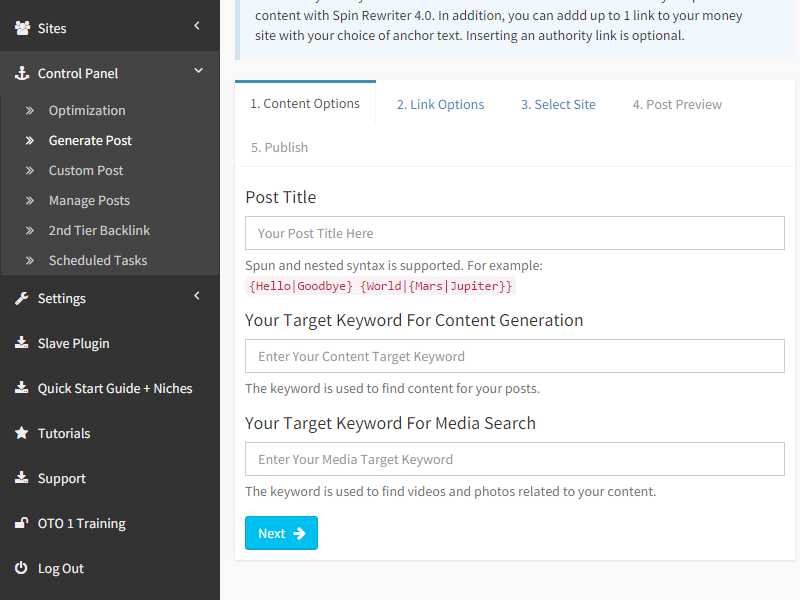 The plugin is also communicating with the backend server and API's like YouTube API, SpinRewriter API, Vimeo API and Flickr API. The most important and technically difficult feature is "Stealth Mode". That means the plugin is able to rename it's name and directory to a bunch of random characters and numbers, so that it's pretty much impossible to detect the plugin (guess the directory name) running on the site. The hidden part that made everything work. The backend communicated with the sites running our WordPress plugin sending out tasks, making sure they get completed and sent the results to the users. The communication between the WordPress plugin and the backend is encrypted. 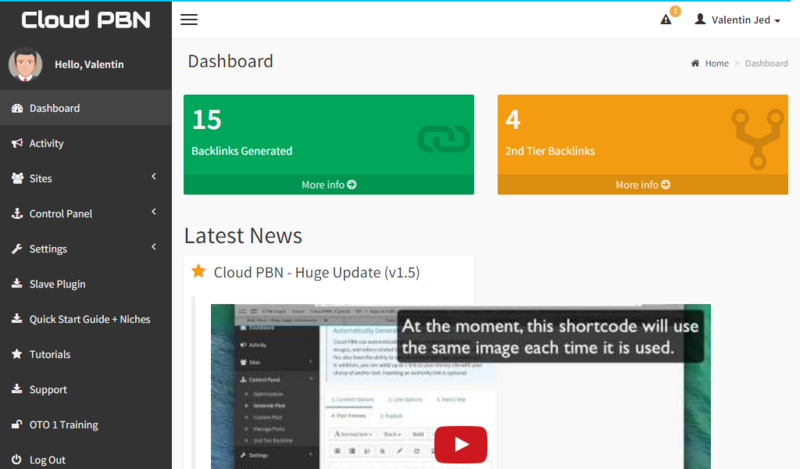 From the backend we are able to automatically update the plugin on sites that gave us the permissions. When a new version of the plugin is released the customers don't have to do it manually or even have to login into WP Admin. The system does everything automatically. I'm always open to new ideas. Let me know what do you have in mind and I will help you build it, launch it and grow it. Just push the button below and let's talk about your business asap. Connect with me on Facebook or contact me directly. I love to chat about web apps, business and innovation.